CSP Type-4 push rod tubes are made out of solid aluminum material using state-of-the-art CNC technology. The manufacturing tolerances achieved are clearly below that of a molded push rod tube and guarantee the best precision and sealing characteristics. An inner diameter of 20mm provides maximum clearance for the push rod and a perfect oil return from the cylinder head. 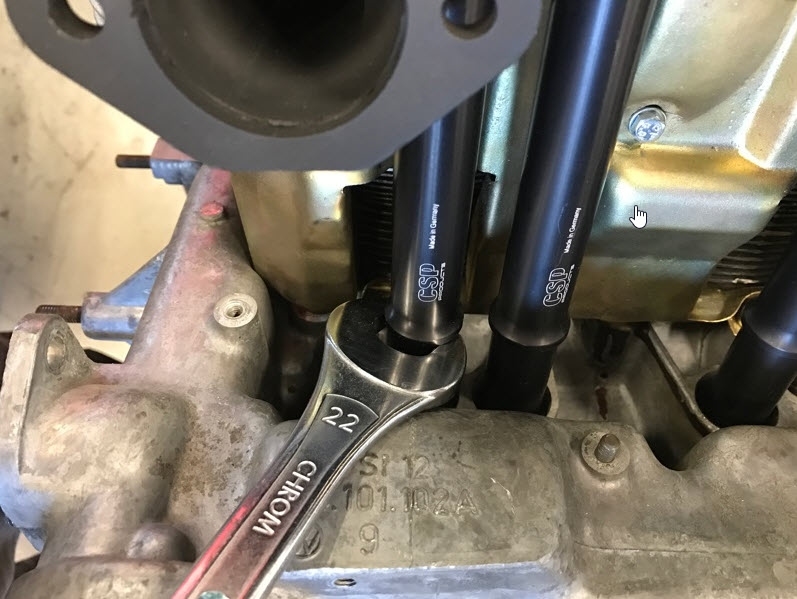 On the outside, the push rod tube provides extra space in the area of the exhaust manifolds and thus simplifies the installation of large diameter exhaust systems. An additional shoulder on the engine housing side serves as a disassembly aid and allows the simple ''levering'' of the push rod tube using a 22mm open-end spanner. The push rod tubes are black anodized after machining. CSP push rod tubes are supplied as a set of 8 and are available in two versions. In addition to the standard version with a length of 209mm a longer version is also available. On the engine side the longer version provides two additional grooves for accommodating the push rod tube seal, which can be removed if required. The longer version can be used as 220mm, 214.5mm and 209mm push rod tubes. High quality seals are included in the set.